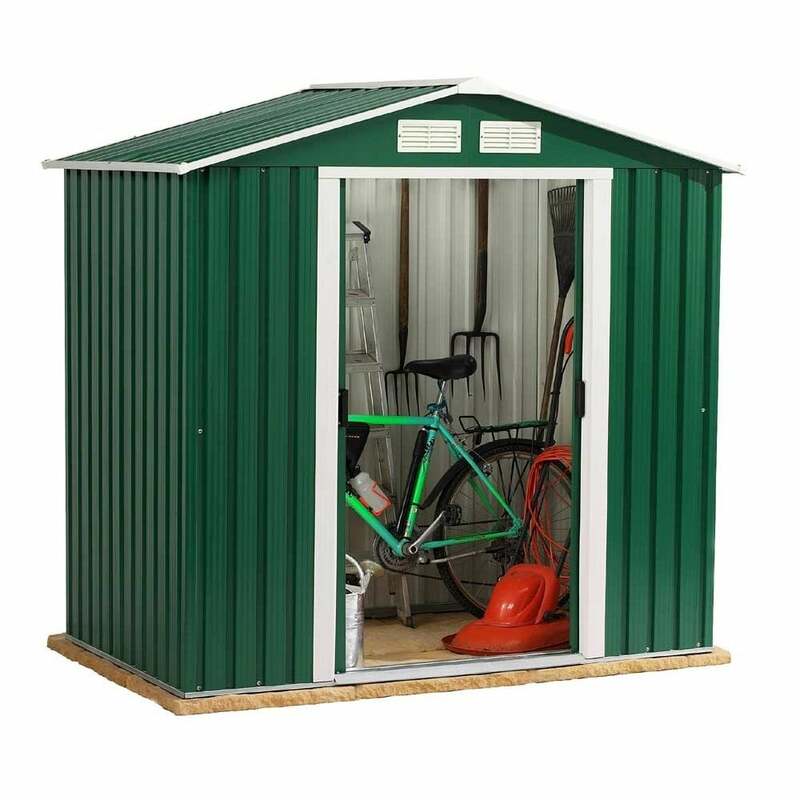 Storemore Emerald Parkdale Metal Sheds: The Storemore Parkdale Metal Shed comes in this highly functional design perfect for storing garden items and equipment. The Emerald Metal Shed features double sliding doors and is constructed from steel to ensure it is a secure and maintenance free garden shed. The Storemore Metal Shed comes in an attractive green colour and easy self assembly, this shed is ideal for practical storage and includes 10 year manufacturers warranty.